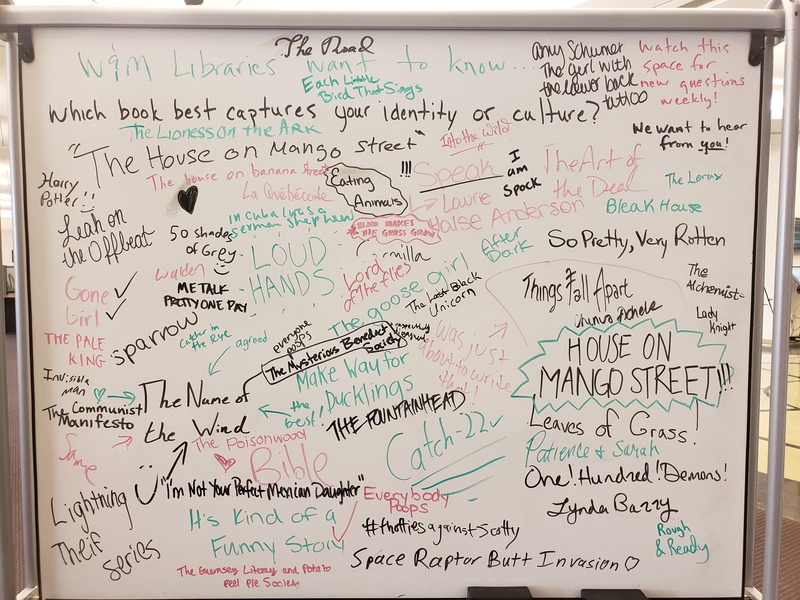 W&M Libraries already owned a little over 75 percent of the books that were mentioned on the whiteboard. We then bought as many of the rest as we could. While some of the titles weren't a good fit for an academic library, we were still able to acquire about 75 percent of the remaining books. So thank you for helping us build the Libraries' collection! If you'd like to read (or re-read) any of the books that the Libraries own, you can check their availability using the W&M Libraries catalog. And if they're currently checked out, you can always request a copy through Interlibrary Loan. Enjoy! Watch for the return of the lobby whiteboard with new questions (and some repeat "instant classics") in Fall 2019.